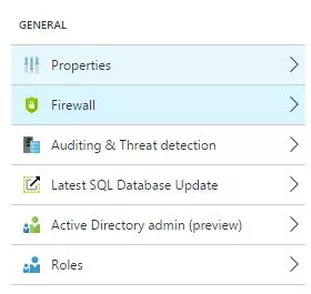 In this article I’ll show you how to connect to SQL Azure database instance and create a simple database. First you have to own an Azure account. In the account you have to have a resource (your database server). My Azure resource is called imazure. 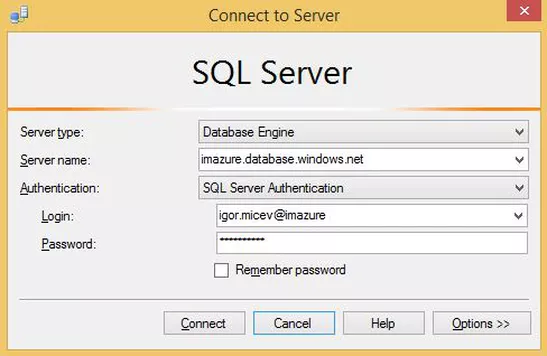 The server name is imazure.database.windows.net (database server at the same time). I’m not going to tell you my password ;). Hit Connect and you get the next window. This will be asked from you only for the first connection to your Azure database instance from your SSMS. 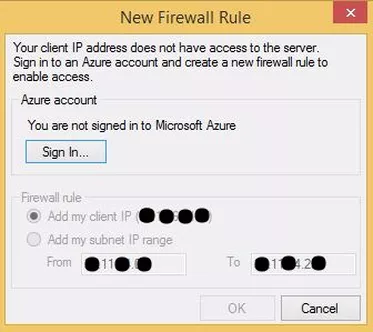 It asks you to Sign In in you Azure account. You’re doing that with the next login (only the first time). Next is the following window, that would, most likely, make you leave your try to SQL Azure. 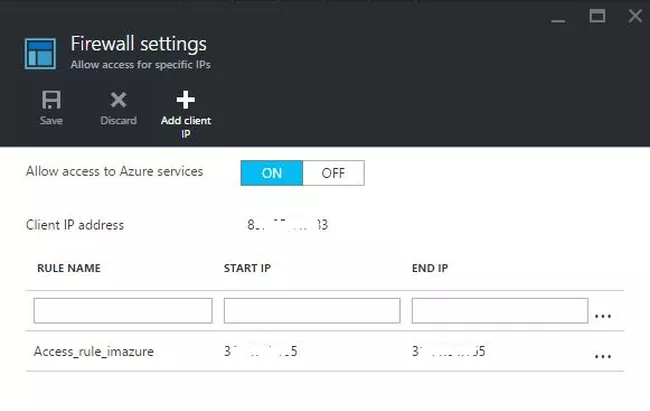 Here is the little trick you have to do (I’ve masked the IP addresses I’m using to connect to my Azure resource). 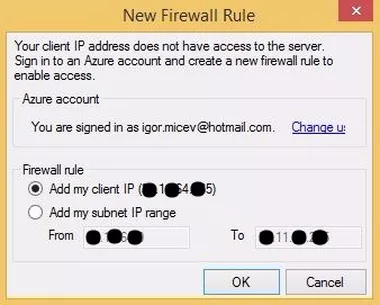 For your resource in the Azure account, you have to define a firewall rule. Step 1. Find the resource and navigate to Settings. Choose Firewall. Step 2. Configure Firewall. You need to just add a rule name and a Start and End IPv4 addresses. You can add a range of IPs, or just one IP address. And you’re already there. Hit the OK button on Figure 4 or Figure 1, to connect to you sql azure database. Congratulations! You’ve made a successful connection. Run this command in your query editor and you have a database to work with. 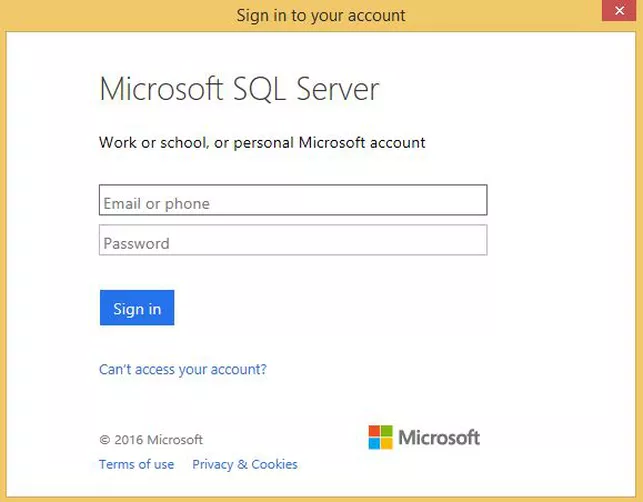 This entry was posted in SSMS, Technology and tagged SQL Azure by Igor Micev. Bookmark the permalink.